Fresh start on the nose with sea air, coastal smoke, peat and a whiff of salt. Creamy with vanilla, ginger, malted barley and lemon curd. Subtle spicy with peppery oak in the background. Sweet vanilla and toffee mingle with white peaches, heather, barley and peat along with a warming spiciness of oak and white pepper. Minerally with a maritime touch and subtle cloves towards the finish. A medium long, salty and grainy finish with sweet and creamy heather honey, malted barley, tender coal ash and a touch of peat smoke on the tail. Nicely mouth-coating. Quite fresh on the nose with a few drops of water. Sea air with lots of peat smoke and coal ash. Less fruity and sweet. The delicate sweetness is tamed on the palate, too, while more peppery oak and cloves are coming through. Peat smoke and allspice towards the finish. The finish shows medium length with a warming and spicy core, followed by subtle heather and vanilla sweetness. Becomes fairly dry on the tail. 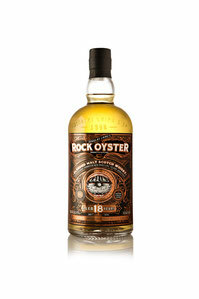 A well put together, rich and lively blended malt embracing the character of Orkney, Arran, Jura and Islay. A strong, peppery and smoky dram with a sweet and creamy core of vanilla, barley and heather. Perfect for an autumnal day out on the west coast of Scotland.